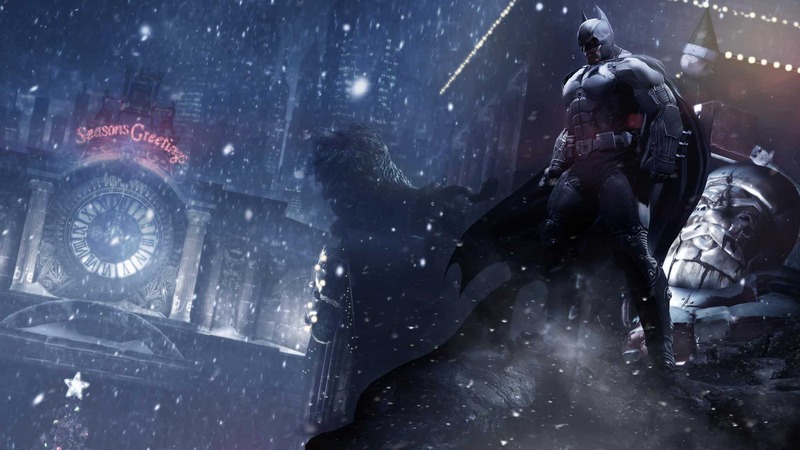 More than a comic, new Batman series from Arkham Origins lets users decide the fate of Batman and clean up the streets of Gotham City from criminals. 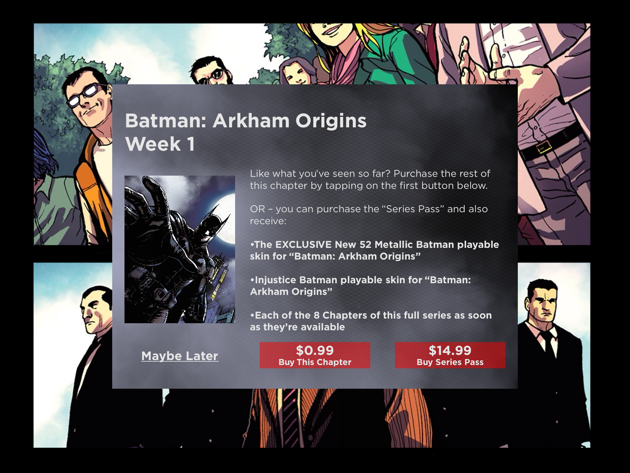 The new comic was designed specifically for the iPad, and it features a fascinating prequel to the super-hero story: Batman: Arkham Origins – A DC Comics MultiVerse Graphic Novel. The story begins right before the console games have taken on the plot, when Bruce Wayne experiments with his gear to clean up Gotham City, but his main tool is his iron fists and the powerful left hook. As always with Batman, the story goes very intense and sinister; users get the freedom to experiment with different scenarios, some of which even lead to Wayne’s decisive peril. 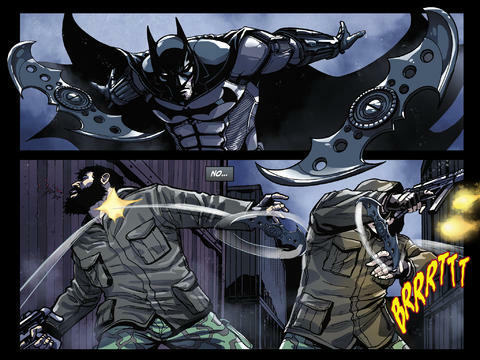 No longer is Arkham Origins a digital comic; it is a fully fledged interactive set of stories with a “choose your own adventure” technique. Each scenario features a fantastic set of animations, sound effects and background music. Readers will have a say in the story, choosing the twists and turns as they go, but be aware – some choices can kill the Dark Knight. iTunes offers a free preview of the first chapter, but the full chapter is available for $0.99 for iPad only. A full prepaid series of 8 issues in total costs $14.99. Enjoy the good read and keep the Dark Knight alive for the sake of Gotham City’s bright future.